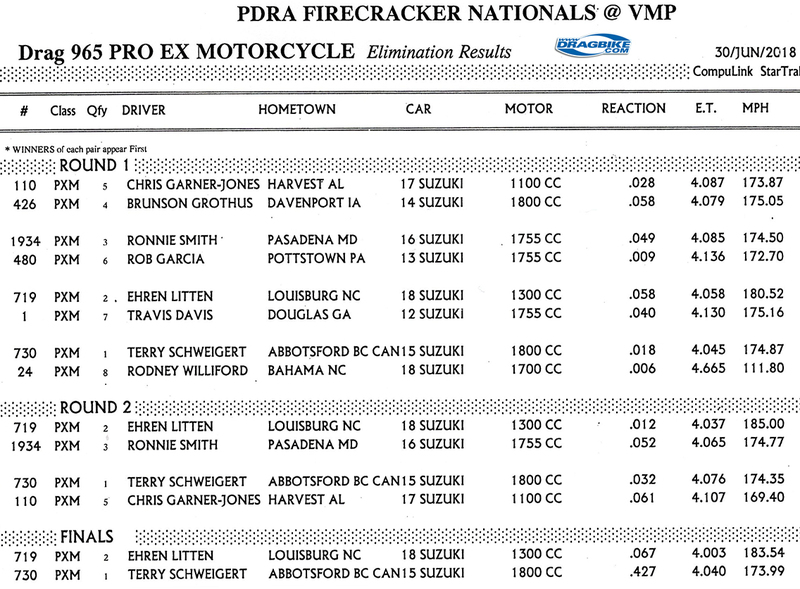 The summer racing season heats up with the completion of the PDRA Firecracker Nationals at Virginia Motorsports Park. 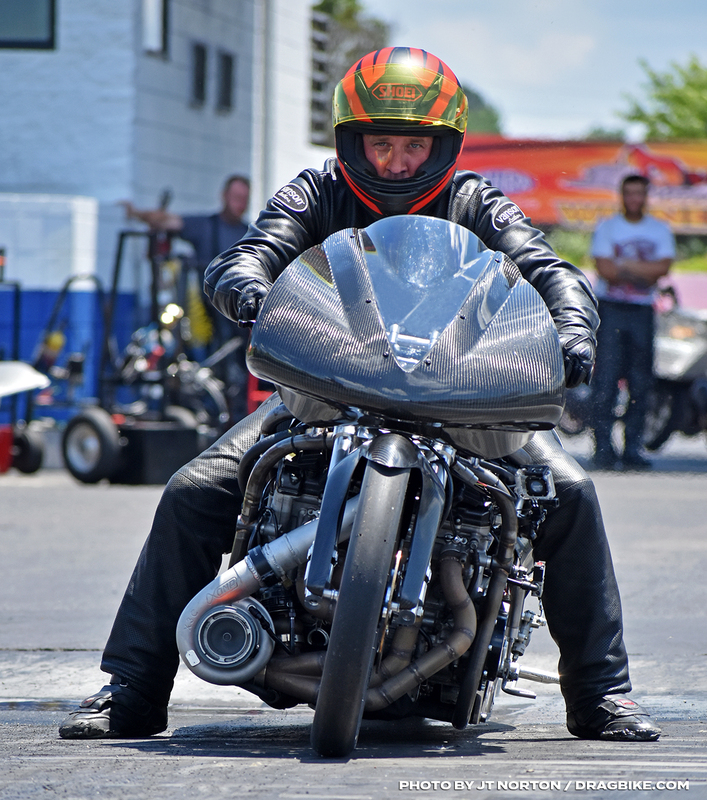 Terry Schweigert qualified number one with a 4.025 over number two qualifier Ehren Litten’s 4.035. And from there these two would be unstoppable to meet in the final round. Schweigert would take out Litten’s teammate Williford, and Chris Garner-Jones to meet Ehren in the final after he took out Davis and Smith. With two evenly matched competitors ready for battle, the final round was going to be a show. However Ehren got the jump on Terry with a .067 light to his very late .427, and in 1/8 mile racing, a bad light can end a pass before it even starts. Ehren Litten ran the fastest pass of the weekend with a 4.003, and Terry Scheigert couldn’t catch him with his 4.040. Litten also produced the quickest runs of the weekend running consistent 180’s, with 185 mph being his top speed to rest the MPH record. 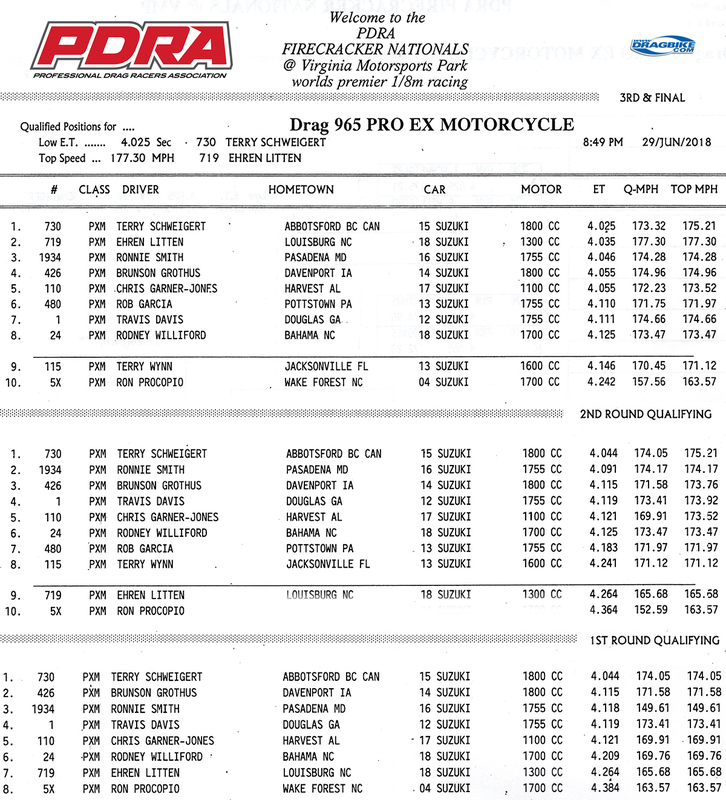 Congratulations to Ehren Litten on his first PDRA win! The Williford racing team now owns two wins out of four races for the 2018 race season. 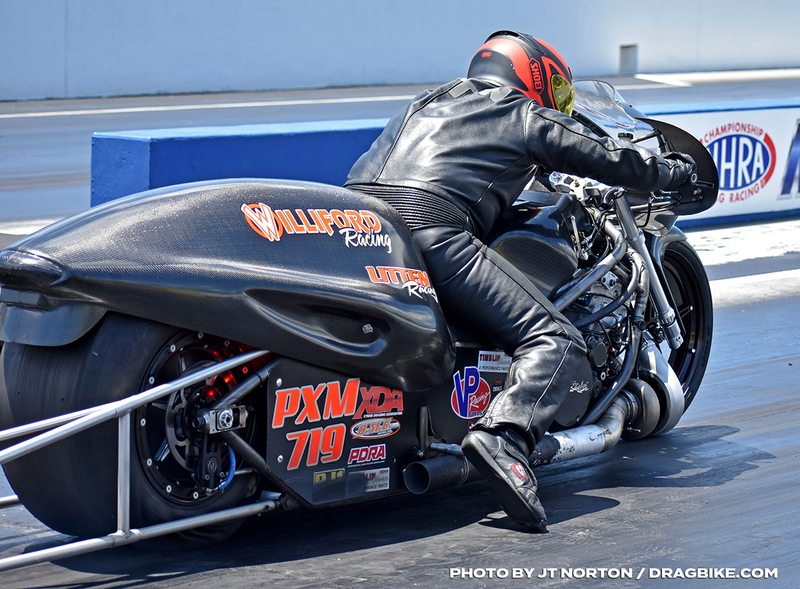 Pro Extreme Motorcycle will return to racing action on July 19-21 at Nationals Trail Raceway for the PDRA Super Strip Nationals. Ehren Litten’s Winning Run – From every angle!